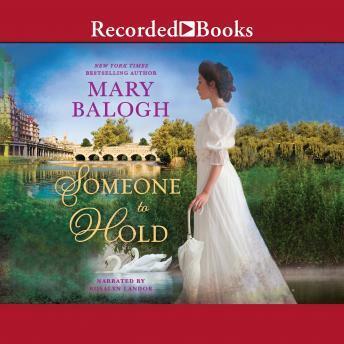 New York Times bestselling author Mary Balogh's new Wescott series continues as a young woman deals with her father's death and a reversal of fortune. With her parent's marriage declared bigamous, Camille Westcott is now illegitimate and without a title. Looking to eschew the trappings of her old life, she leaves London to teach at the Bath orphanage where her newly-discovered half-sister lived. But even as she settles in, she must sit for a portrait commissioned by her grandmother and endure an artist who riles her every nerve. An art teacher at the orphanage that was once his home, Joel Cunningham has been hired to paint the portrait of the haughty new teacher. But as Camille poses for Joel, their mutual contempt soon turns to desire. And it is only the bond between them that will allow them to weather the rough storm that lies ahead.